Nanette, the 10 year old donkey rescued by ERF on Thursday has settled in well at Trina’s yard awaiting farriery and veterinary advice next week. 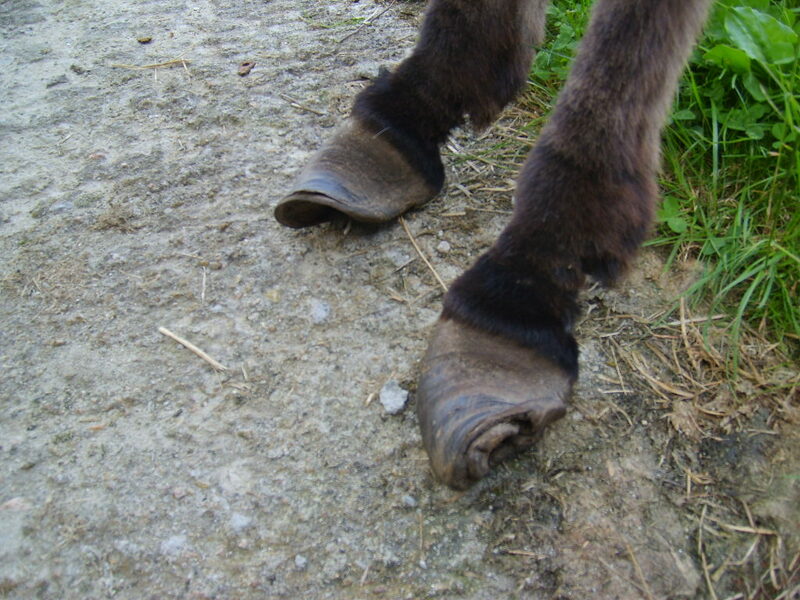 Photos of her feet were emailed to the Donkey Sanctuary in the UK and a French farrier for their opinions on what and how treatment should start to correct her severely overgrown hooves….first impressions are that it will be a long road, but that it will be possible to try and slowly correct her hooves with vet and farrier liaising together to help her. 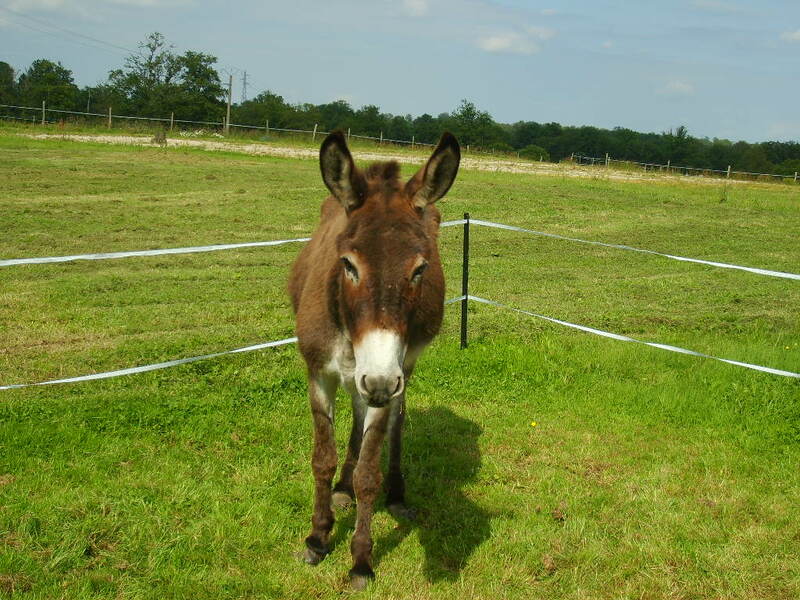 Nanette has also been wormed and she has had her own en-suite nursery paddock created for her so she doesn’t have to walk far from her stable. 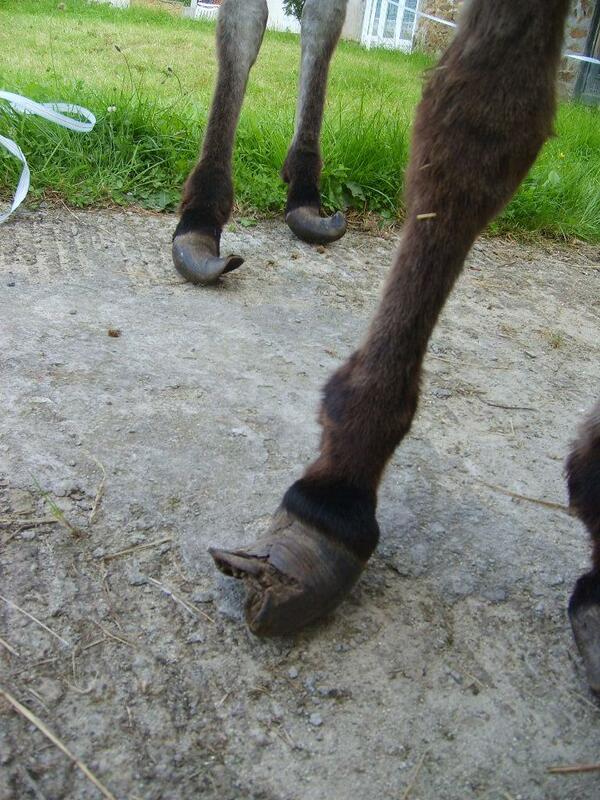 Her temperament is excellent and she is a very loving little donkey. She has quite a few scabs on her ears which look like barbed wire cuts but are only superficial. 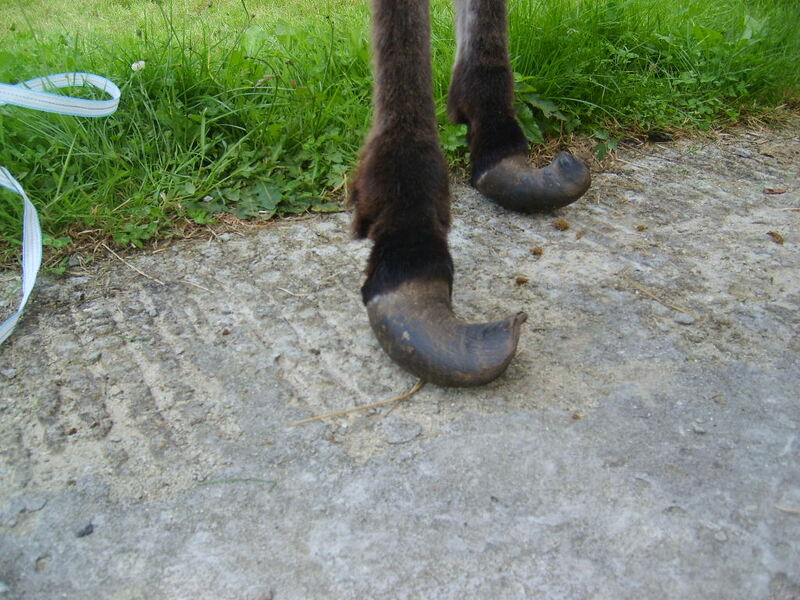 Here are some photos of her enjoying the warm weather today, and her badly deformed feet. If you would like to contribute towards Nanette’s care you can do so by visiting our website and clicking the donate button.